Calling all Yogis! In Fine Feather Yoga is hosting their 7th annual photo contest, Yogis In The City! It’s simple…Bring your yoga practice into the city, snap a pic in a pose and send them our way. We will be looking for creative submissions of all of YOU doing yoga all over YOUR beautiful city! At the end of the contest, the picture that receives the most likes….WINS!!! The winner will take home a FREE $50.00 gift card to In Fine Feather Yoga and an incredible wellness gift from Love My Mat and more! The contest starts on May 1st- May 31st. You have the whole month to get your pics in! We can’t wait to see what you all come up with, There are so many beautiful spaces in this city, so get out there and happy posting! Join us Saturday May 4th! Life is all about finding the middle path and aiming for balance right? We are excited to share an afternoon of yoga, live music, sensational food, street vendors and entertainment at this years Sew Hungry Food Truck Rally. Bring your mat and join Helena McKinney, owner of In Fine Feather Yoga, for a complimentary outdoor yoga class. Class will be located on Ottawa Street North, right in front of the main stage close to Barton Street North. This practice will be energizing and invigorating -work up a sweat now to feast later on some of the most loved food trucks Ontario has to offer. Location: Class is being hosted at the main stage on Ottawa Street North near the Barton Street intersection! RSVP in the Facebook Event Page here to stay up to date! Sew Hungry, Ottawa Street’s annual award-winning Restaurant and Food Truck Rally is back! On Saturday, May 4, 2019, from 11am-8pm, over 25 of the most loved food trucks in Ontario will be lining the streets to serve up a mouthwatering variety of food alongside 15+ local Ottawa Street restaurants. You asked and we listened! 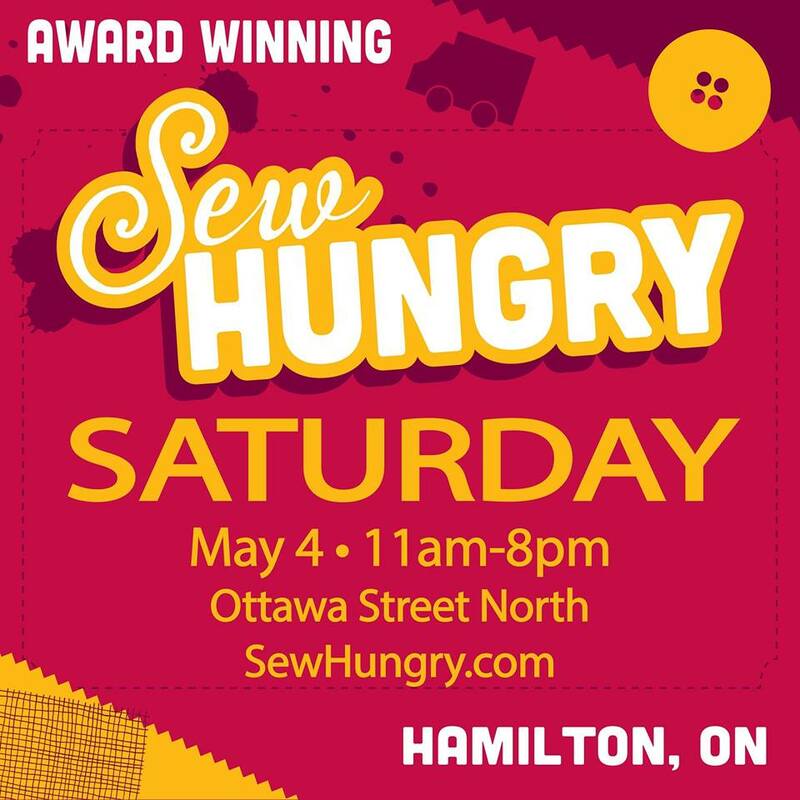 Not only did we move Sew Hungry to a Saturday, we’ve added a full street closure, live music throughout the day, a kid zone and more! Join us on Saturday, May 5th for a day of food, entertainment, and fun for the whole family!